DT Upsy Daisy | . :My place in the scrappy space:. 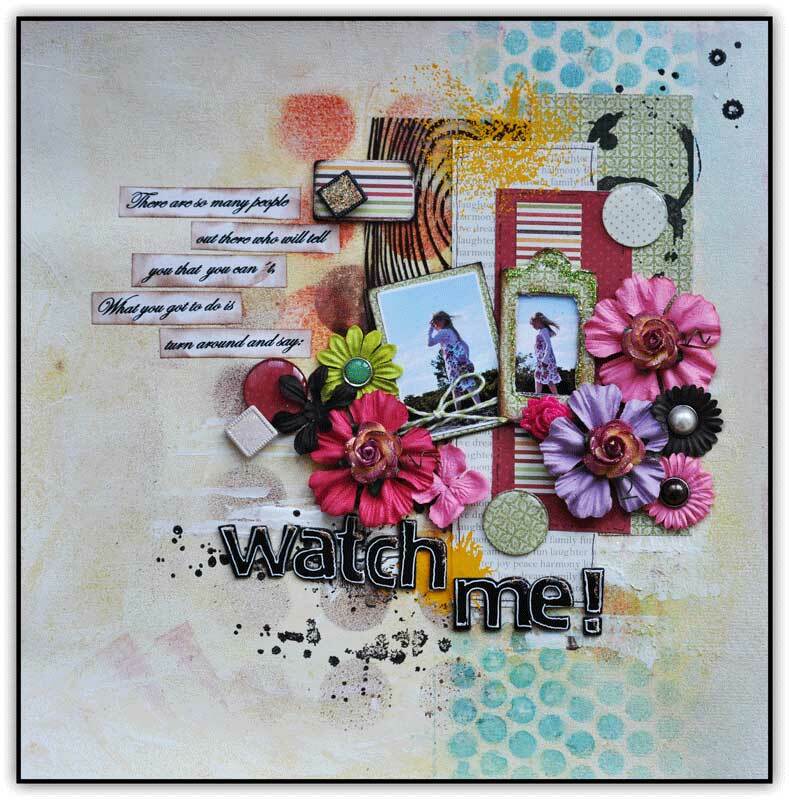 I actually got inspired by my sweet friend Mahlin on this one… she really got me all jammed up for this gesso/misting thing… and its so much fun!
. :Wonder what future might bring:. Have been playing this weekend… this page took a lot of time.. I started working on it on thursday last week, and I was finished yesterday… Mostly took time bec I have not been able to scrap during the entire weekend.. There is some UDD work done…. 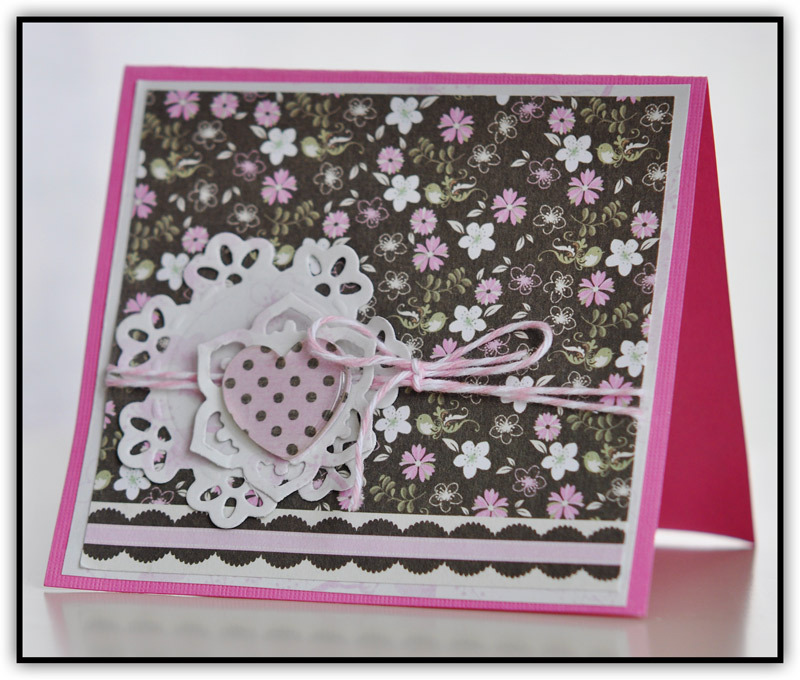 for this card I have used papers from the UDD blossom line, twine from The Twinery, Ive also used dies from Spellbinders, a real favourite.. the floral doily motifs, and Ive also used the Epiphany Crafts heart 25 tool and epoxy covers. 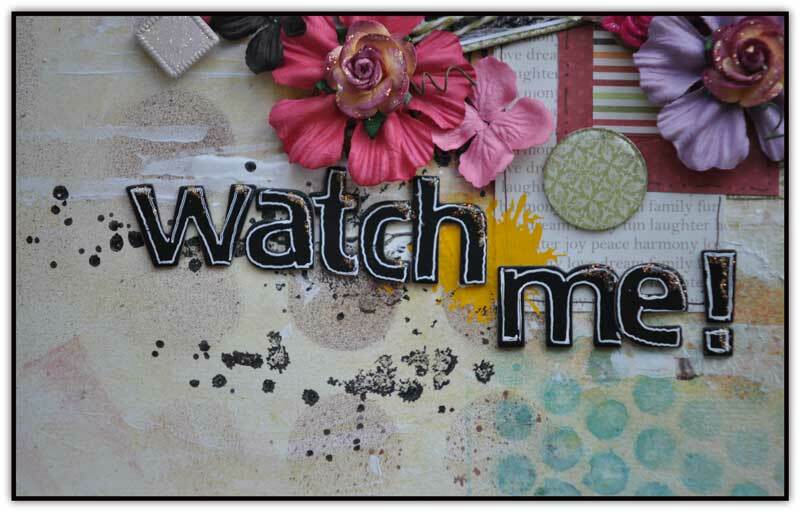 really easy and quick to make if you are going to a party… just cut out two flower dies and match with background, add a nice epoxy touch and some twine, and you are ready-set-go! 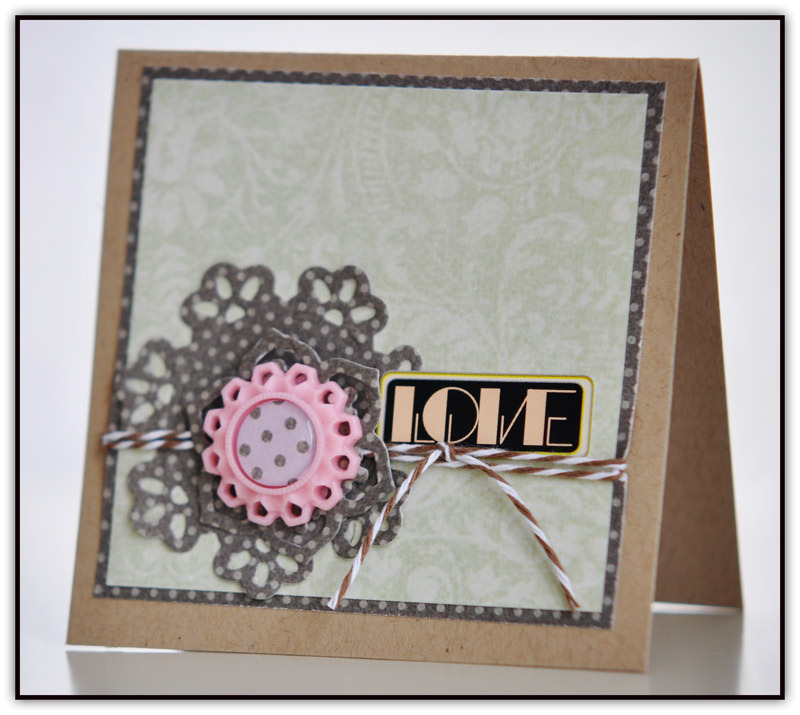 for this card Ive used the same Blossom paperline, Twine from The Twinery, spellbinders floral doilymotifs and I also used the Epiphany Crafts round 14 tool, epoxy bubble caps and tea room vintage setting. 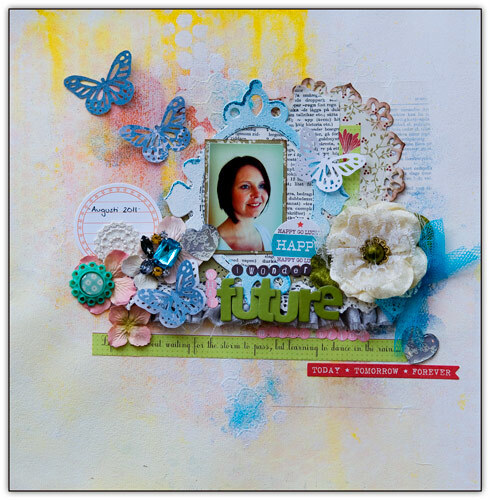 This months assignment for the Daisies, is to scraplift a fellow DT member. 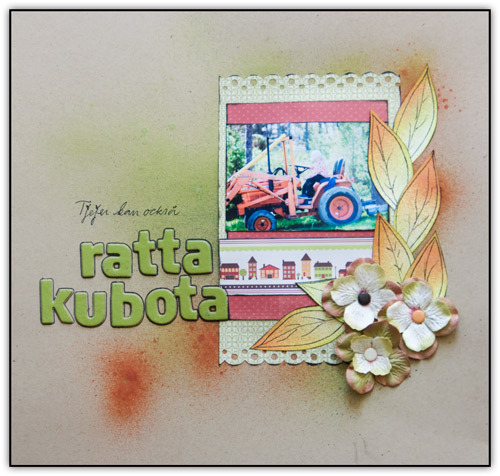 Materials used: Blossom line, and rubons #UDD124, and #UDD188. 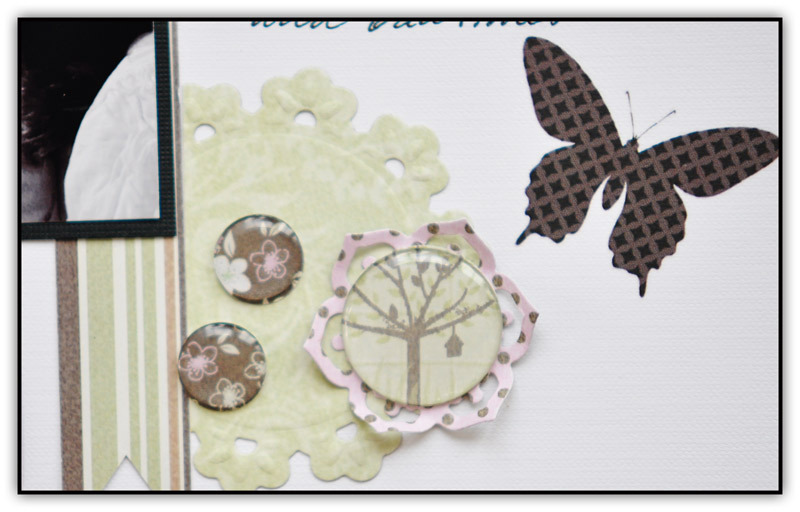 Ive also used the round 25 tool from and the round 14 tool and epoxy caps from epiphany Crafts, to make the cute epoxy buttons on my page. 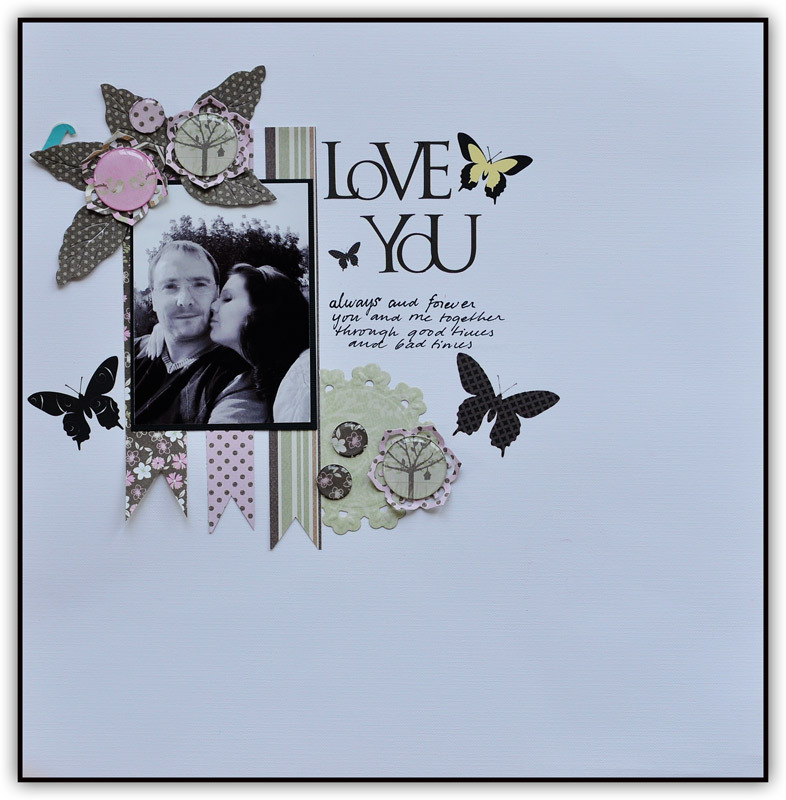 die cuts are Spellbinders. I have mixed and matched my paperlines, so you can find the Modello #UDD0049, A walk in the park-#WP012, A new day-#ND013, and See ya later alligator #SYLA011,on my page. 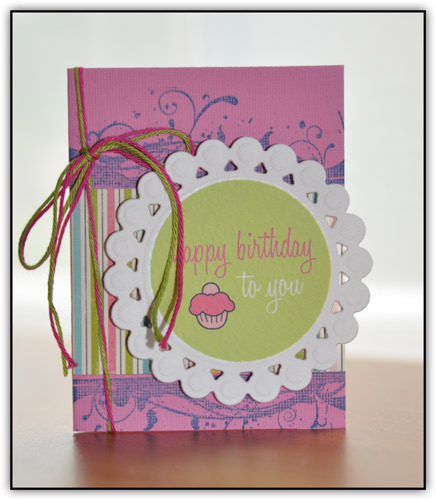 And even though they are totally different paperlines they fit together perfectly with their soft colours. 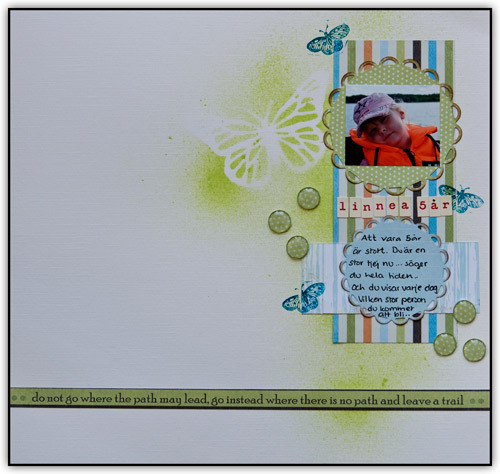 The edge punches I´ve used is from EK success, and Martha stewart. 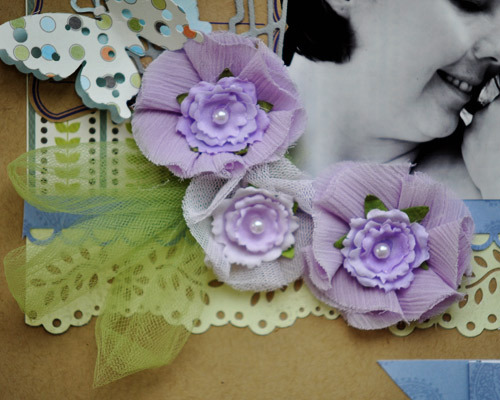 I´ve also added som fabric flowers from Prima, and tulle to give the page a softer style. Perfect for a little girl isn´t it?? This I made for a girl who celebrated her 7th birthday yesterday, and Ive used my spellbinders-Beaded circles, and Sweet celebrations Rubons from Upsy Daisy design. Ive used the UDD line See ya Later Alligator… pretty greens and blues..
.:Girls can drive big trucks too:. UDD DT work. We have been working in the garden during these last couple of days, and we have borrowed a small garden tractor from a friend to help with the work in the garden.. This tractor have been the joy of my kiddos life these days when we finally have stopped and taken breaks… because then they have climbed up.. and played that they are the big gardeners doing great work in the garden.. My daughter have been the one working hardest to get up there in the competition wit her brother and the other boys on the street.. so yesterday se yelled really loud… GIRLS CAN DRIVE BIG KUBOTAS TOO YOU KNOW!!!! well atleast here where I live its Mothers day today. I know its celebrated differently all over the world. Well For today I have a little bit of inspiration on how you can make your gifts look fab, with little time and effort behind it. 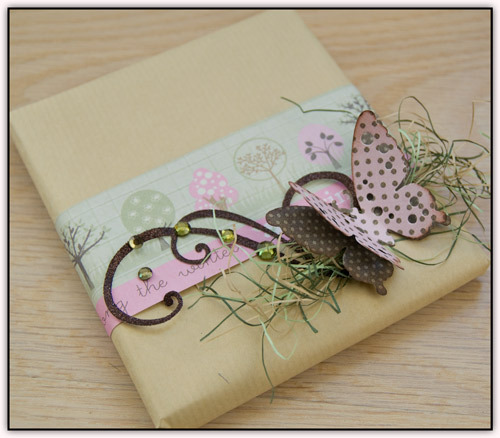 For this one I have used ordinary brown wrappingpaper, I added a strip of patterned paper from UDD blossom line, I used a QK double-dies Butterfly as a deco, a swirl made by a dies from Magnolia, and some rhinestones. the green grass like ribbon I dont know the name of.